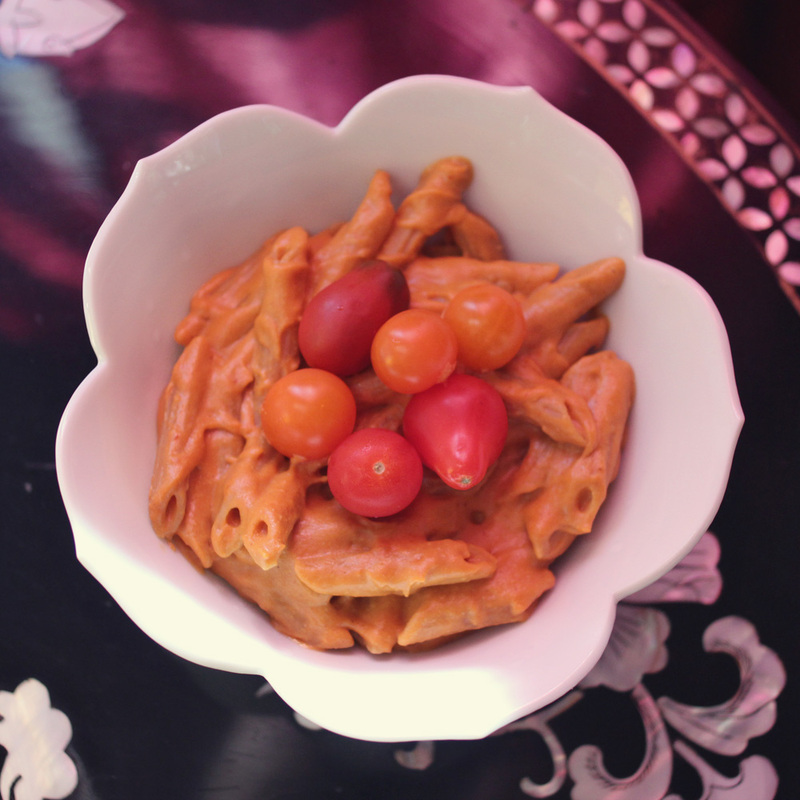 I have been through a lot of Mac & Yease recipes (vegan mac and cheese with nutritional yeast!) over the past year, and finally I think I’ve come up with my favorite recipe! It’s based on at least 6 other recipes that always had something missing for me. 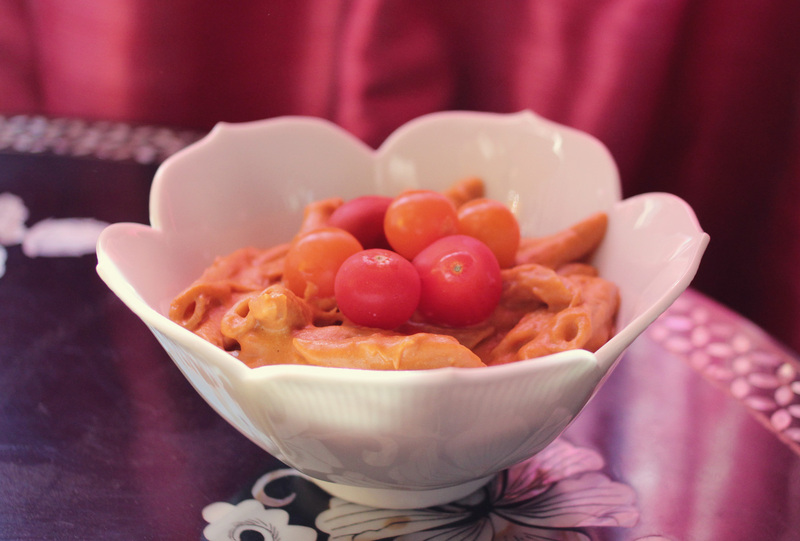 But now I’ve found the two magic key ingredients after cooking a lot of Indian food: tomato paste & cashew butter. Tomato paste gives a good subtle tart flavor and adds great color. 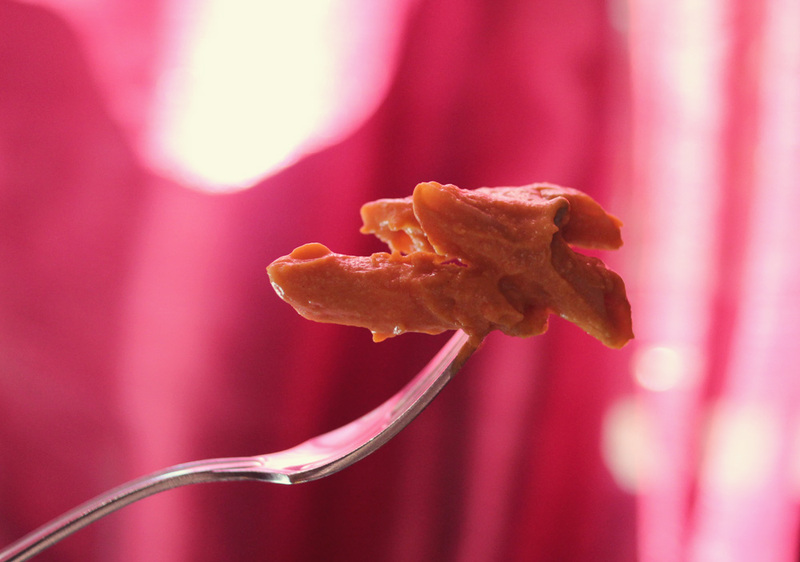 And the cashew butter makes it creamy and thick, but surprisingly not too nutty. Shown garnished with fresh baby heirloom tomatoes! 1. Make a roux by melting the Earth Balance over low heat & beating in flour with a wire whisk. Continue to beat over medium heat until mixture is smooth and bubbly. 2. Slowly whip in the almond milk. Only add a couple tablespoons at a time so the mixture stays smooth. 3. Add onion powder, turmeric, salt, 2 big fat tablespoons of tomato paste, and 3 fat tablespoons of cashew butter. 4. Add the yeast! Whisk lots, keep it smooth. Now add Sriracha and maybe more salt to taste. 5. Eat it with stuff, pasta, gnocchi, or chips! Note: Add a more almond milk at the end if your sauce is a little too thick. The cashew butter is quite the thickener.